IN THA LAST MONTH’S column, I began a conversation about the considerable changes in public refrigerated warehousing (PRW) during the past couple of decades — the evolution of a mostly “pallet-in, pallet-out” business to a more complex 3PL enterprise offering many more services to PRW customers. I promised more on the topic for this month’s column. For review, 3PL (or TPL) is short for third-party logistics, a function of supply-chain management. In the world of PRW, the supply in most cases consists of perishable & frozen food, drink products and ingredients, but it also can include flowers and plants, biopharmaceutical products, and even artwork. Food manufacturers and packagers today increasingly use third-party PRW providers to outsource elements of their food distribution, warehousing, and order-fulfillment services. The transition of PRWs from basic receiving, multitemperature storage, and shipping points to fuller-service and flexible 3PLs has been born from greater competition among cold-storage companies, dramatic shifts in the food industry, increasing demands from retailers (such as supermarket chains), changing consumer sentiments, increased regulation, and the need by all parties in the supply chain to be more efficient with time and money. The contract warehousing item in the list is a showcase example of why many food product manufacturers and packagers now turn to PRWs for functions they once held in-house. Manufacturers often choose increased production space and capacity rather than storage space when working within their own facilities and evaluating expansions. Since PRWs offer storage on a pay-as-used or pay-as-needed basis, a manufacturer doesn’t have to pay for unused space during seasonal inventory swings or changing production cycles. In addition, by using PRWs, food manufacturers can preposition products into key locations for resupply into the cold food pipeline with shorter order-time transits and ready supplies within one day’s transit. Next-day delivery is becoming common in the food industry, so available supply is crucial. PRW 3PLs are labeling or affixing information packets to products before their arrival in the grocery distribution channel, repacking to create variety packs, and tempering products from a frozen-to-refrigerated state for immediate sale off the store shelves. For the public refrigerated warehousing industry, the times certainly have changed — from mostly “pallet-in, pallet-out” to a 3PL environment that, in many ways, makes PRWs an extension of the companies and customers they serve. It’s an interesting and challenging time to be in the business — and we love it! 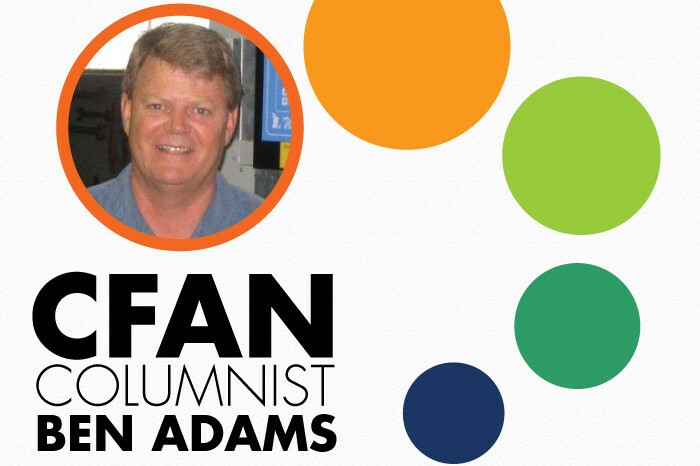 BIO: Ben Adams, Jr., is an owner and president of Adams Cold Storage, LLC, in Auburndale. He has been directly involved in citrus production, warehousing and distribution, as well as state and community support, since 1980. His facility incorporates some 250,000 square feet of multitemperature warehousing, and is AA rated by BRC-International.